Lasers, robotics and customisable walking aids lead the way in new competition to develop products for independent living. Laser-emitting shoes which help people overcome ‘freezing-of-gait’ and a Meccano-style walking aid kit are just two of the inventions being developed by companies in London and the south-east which could help people stay independent for longer as they get older or develop debilitating illnesses, according to Design Council and MedCity, the Mayor of London’s life sciences promotional organisation. 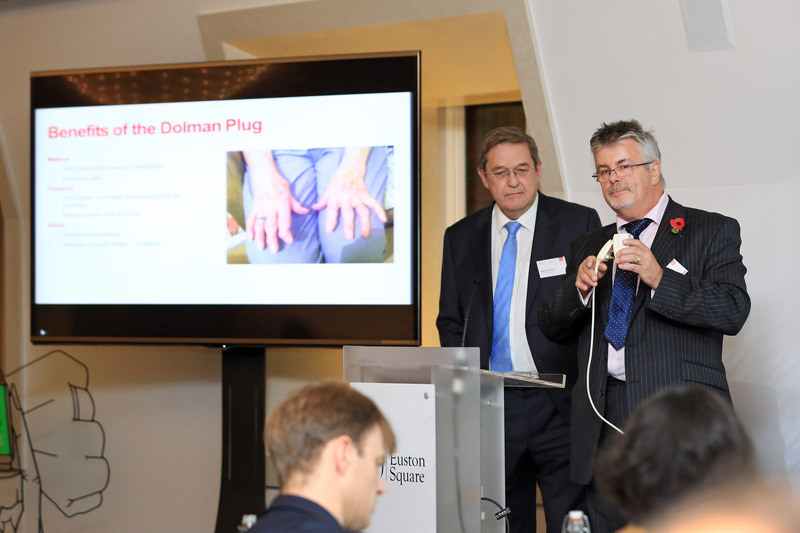 The range of innovative medical technologies also included a glove that steadies the hand of people with Parkinson’s, and an easy to use plug and socket designed for people with limited grip, all showcased at the inaugural MedTechSouthEast pitching event at the Royal College of General Practitioners last night. 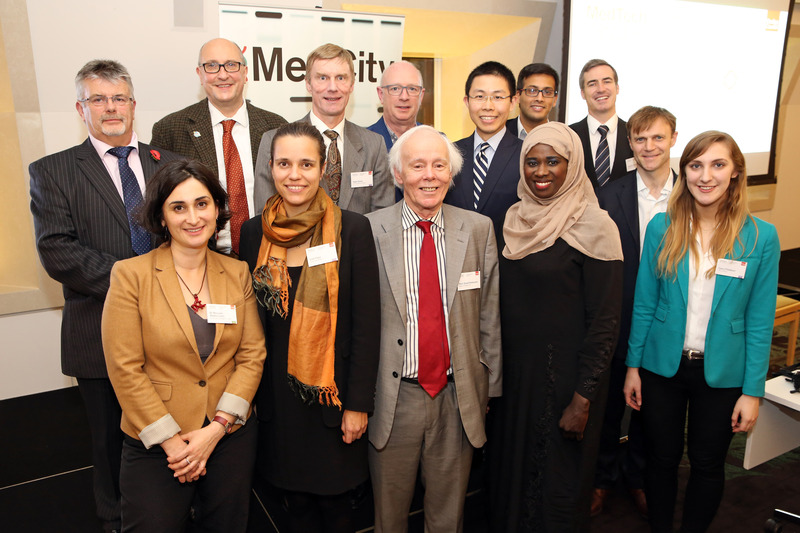 A judging panel led by Roger Highfield, science journalist, broadcaster and Director of External Affairs at the Science Museum, selected 10 winners who will now receive exclusive mentoring from some of Design Council’s leading experts to develop and commercialise their products. Among the finalists was Cara O’Sullivan, who has developed a DIY kit that allows people build their own bespoke walking aid. 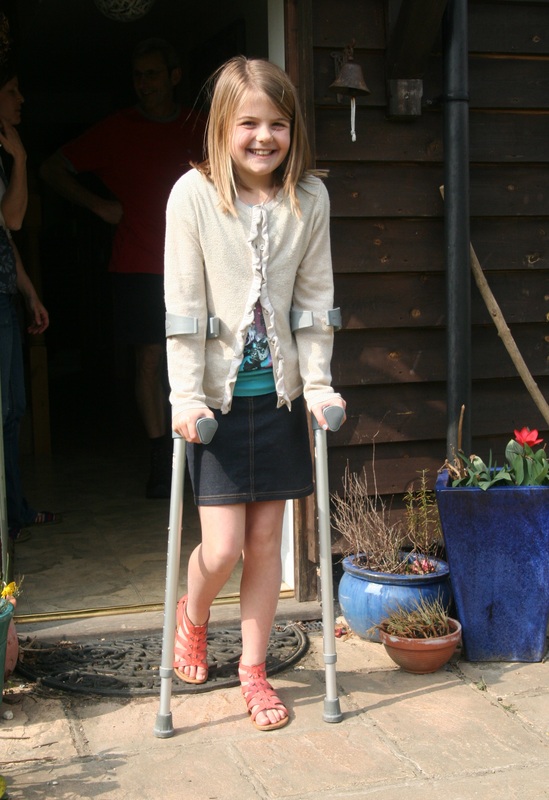 The industrial design and technology graduate created the Evolvable Walking Aid Kit after finding that the lack of adaptability in walking aids meant people going through rehabilitation or with a worsening condition are likely to switch between three different devices to get the right support, with significant effects on cost and confidence. With 6.9 million people in the UK having some difficulty with walking, Cara set out to design an adaptable set of components that could be easily and quickly assembled to meet each user’s exact needs and evolve as their condition changes. Another finalist was Lise Pape, who has developed ‘Path Finder’ which aims to tackle ‘freezing of gait’ (FoG) – a common challenge for people with Parkinson’s, who describe it as the feeling that their feet are glued to the floor. The symptom is one of the main causes of falls in people with Parkinson’s, and significantly affects their confidence in attempting to walk. thought to be because they help the brain to visualise and focus on the act of walking. 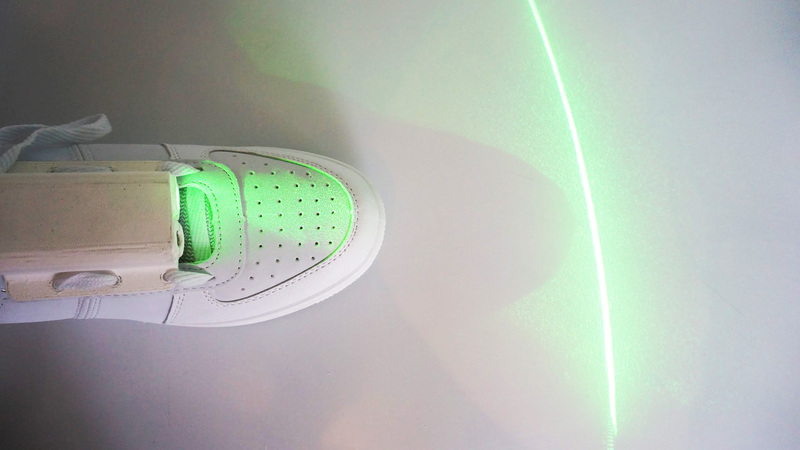 Lisa’s solution is a pair of shoes with lasers at the front which project green lines ahead as the person walks, activated by a sensor in each heel that monitors the user’s walking pattern and pace. Early clinical trials have found users reported a decrease of up to 55% in time spent frozen compared to total walking time. The 10 winners will now take part in an intensive accelerator programme led by design experts and medtech industry leaders. The programme will give teams a practical, thorough understanding of how to use design to fast-track the commercialisation of their innovations. They will learn how to better plan, prototype and effectively communicate their products, maximising impact and managing risks.